In August 1955, Mamie Till-Mobely of Chicago sent her only child, 14-year old Emmett Louis Till, to visit relatives in the Mississippi Delta. Little did she know that eight days later, Emmett would be abducted from his great uncle’s home, brutally beaten and murdered for one of the oldest southern taboos: addressing a white woman in public. The murderers were soon arrested but later acquitted of murder by an all-white, all-male jury. However, Emmett did not die in vain. His horrific, senseless death sparked media attention when his mother insisted on having an open casket funeral. Her decision was controversial, but her reason was simple. She defended her decision by stating, “I want the world to see what they did to my son.” Till’s death sparked the Black Resistance of the South which later became known as the American Civil Rights Movement. 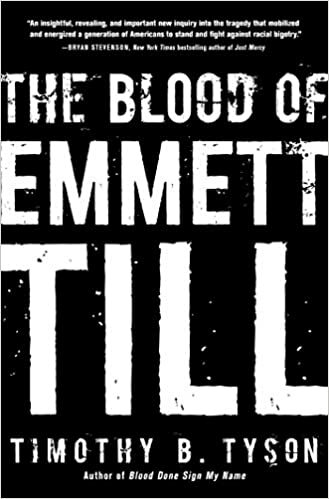 Scholars and historians have studied the murder of Emmett Till ever since, and the case has even made its way through African-American folklore, spanning five decades. People continue to be fascinated by the murder of Till. Many books have been written revealing the incongruous facts surrounding the influential case and controversial jury decision. But, the true story has never been revealed.